Clay Clark has entertained, educated & inspired nearly 1,500 audiences throughout the United States with his fast-paced, candid, humorous, inspiring, thought-provoking self-help talks. Whether your team is looking to motivate a sales force, your college is looking to inspire tommorrow's business people, or your company simply needs to reenergize itself with a life-balance talk from someone who speaks with a sense of humor & candor, Clay is the right speaker for you. Having started his AWARD-WINNING businesses out of his college dorm room (at an age when most people were still looking for their first part-time job), Clay has received numerous awards for his sales, management and entrepreneurial skills including: U.S. Chamber National Blue Ribbon Quality Award, United States Small Business Administration Entrepreneur of the Year, Metro Chamber of Commerce Young Entrepreneur of the Year, Wedding MBA's "Best of the Best Entertainer" Award, etc...Clay is truly a self-made American success story and his self-depricating and energizing style continues to motivate sales professionals, managers, students and entrepreneurs throughout the country. Clay is nat award-winning entrepreneur, an engaging-entertainer and a nationally recognized educator. Specializing in helping audiences large and small to rediscover their long lost dreams and goals. Clay generates improved organization motivation, improved time management skills by using his unique & engaging style which combines entertainment and education. Your audience will be laughing and learning. 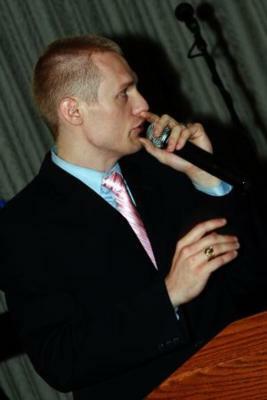 As a speaker and MC Clay has entertained and educated for nearly 1,500 audiences both large and small. Clay has been honored nationally numerous times for his ability to empower managers, entrepreneurs, leaders and teams. "Inspiring, funny & brilliant! Clay, thank you so much for the brilliant presentations you made to our students in the Spears School of Business at Oklahoma State University. You motivated, entertained and educated us!" "10! 10! 10! Clay's presentations were very professional and, yet, humorous. Clay held everyone's attention during both sessions he gave. This program is perfect for nearly any organization who staffs employees who complain that they feel over-worked and over-stressed. This work-shop have everyone in your audience prioritizing their lives in way that will allow them to schedule time into their days to their goals, to live their values and start living their best life now. This program will challenge your managers to create a linear work-flow that works effectively to produce high-quality results. In less than 1 hour your entire team will learn how to effectively implement the action steps needed to insure that your customers' needs can be met with the extreme quality needed to produce extreme profits. This program focuses on implementing numerous "best-practice" leadership programs endorsed by John Maxwell, Jack Welch and others such as "Differentiation, Candor, the Law of the Lid and many more..." During this 1 hour presentation you will notice your managers becoming excited about taking your company to the next level with this practical and energizing management techniques. have websites that were sub par and not what I needed for my business until Clay taught me how to do it myself. Now my company website comes up on the search engines in the first three searches. "Great flexibility substituting for another speaker. Good job. The "winning at work" got highest marks from 44 of 56 survey respondents." -Clay has entertained & educated at well over 1,500 events nation-wide. -U.S. Chamber of Commerce National Blue Ribbon Quality Award Recipient. -United States Small Business Administration Entrepreneur of the Year. *entrepreneurship 101 - "From the Dorm Room To The Board Room"
*lean six sigma: developing a workflow and duplicatable systems for every aspect of your business. "I highly recommend Mr. Clay Clark for his speaking and entertainment services. Clay was the guest speaker at our Student Council District Convention in April, 2009 and he was very professional and captivating to the audience. We had 700+ Middle & High school students and 72 teachers in attendance at our convention and Mr. Clark kept these kids and adults entertained the entire time. He not only gave a wonderful speech but he also announced our Talent Show at our convention. We had 13 schools participating in the talent show and Clay did an awesome job in announcing the acts and getting the audience involved in the show. Clay has a wonderful sense of humor and kept the kids laughing and made our convention a true success. After the convention, I had so many teachers come up to me and say how much they enjoyed the speech and what a wonderful job Clay did in keeping the kids on track and focused during the course of the day with his quick wit and sense of humor. Clay came a little early and stayed a little afterwards and was able to visit and connect with the kids and other teachers on a personal basis to get a feel for his audience. Thanks again for making our convention the success that it was! 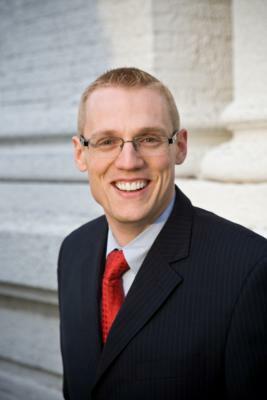 "It is indeed a privilege to recommend Clay Clark to you. Having been in the classroom for over 22 years, I have had the opportunity to observe a variety speakers and others working with my students. None have had the charisma or the ability to capture an audience and engage them as Clay has done. I never miss a chance to have him in my classroom. He inspires students to be entrepreneurs and challenges them in several areas and to think about their futures. My students always look forward to Clay's visits. Even though Clay's accomplishments speak for themselves, I can honestly say—he is amazing, I have watched him work with some of my most 'challenging' students that were otherwise non functioning in the classroom and motivate them. He can also relate to the more intelligent as well. Perhaps it is because he is very well read and resourceful that gives him the ability to read his audiences and relate to them. He has experienced success but has also experienced struggles to success—which seems to aid his ability to identify with and engage any audience. Clay's initiative and level of commitment sets him apart from others. He gives more than 100% to whatever he does. I recommend Clay to you with absolute confidence that you will not be disappointed. Feel free to contact me if I can be of assistance." "Clay, we have been hearing rave reviews from our guests about you! Thank you for working with us. Everyone loved you." should consider Clay Clark!" your choice." "DJ Clay (DJ CONNECTION) is by far the best entertainer we have ever used for "Project Graduation." He keeps it PG rated & is very up to date with today's young people. He is awesome!" "Jennifer and I wanted to take a moment to personally thank you for providing such a tremendous service at our wedding. I don't believe we would have known which way to turn if your weren't there always leading us in the right direction. You certainly kept the event on track, as we were told, provided stellar entertainment for all of our guests. I hear there is an unofficial "bragging rights" competition amongst the employees of DJ Connection...Thanks again for the exceptional service." Please note Sba Entrepreneur Of The Year Clay Clark will also travel to North Las Vegas, The Lakes, Henderson, Blue Diamond, Boulder City, Jean, Indian Springs, Overton, Dolan Springs, Moapa, Logandale, Tecopa, Pahrump.